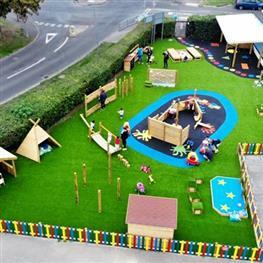 Our Safety Surfacing range includes Wetpour, Playbond, Playturf (Artificial Grass) and Safeturf. We're also experts in Playground Landscaping and can add any visible feature that includes landforms, elevation, water, decking and bridges. 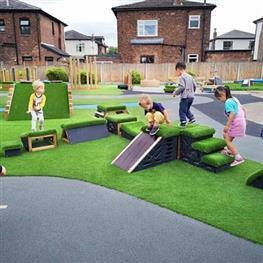 We're experts in creating child-led spaces, outdoor play equipment, imaginative worlds and environments that encourage children to make errors, decisions and choices as autonomous learners. 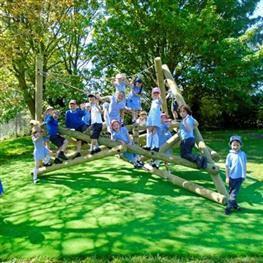 Pentagon Play has been at the forefront of innovative school playground equipment & design since 1998. 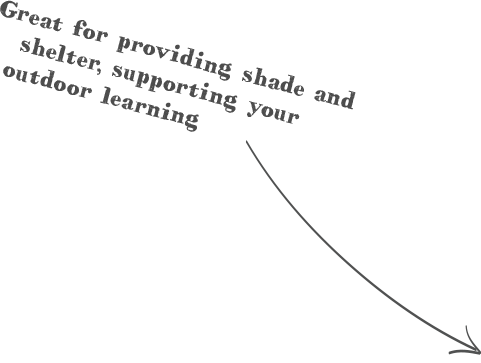 We have a strong team of knowledgeable consultants, talented designers, educational experts & EYFS enthusiasts, who have improved the outdoor learning environments of over 7,000 playground settings. "In the 10 years that I have been at Tiverton School, the new playground has received by far the largest number of accolades, whoops of delight & heartfelt praise." 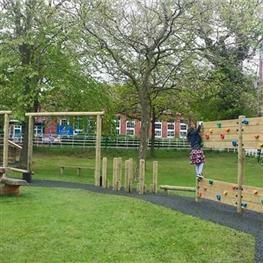 We re-developed Park Primary's Early Years Playground to include non-prescriptive play equipment that would create challenging tasks for group play and cooperative exercises. Our 'Mud and Sand Quarry' included a pulley controlled via an overhead crane for the movement of mud and sand to a mixing area. Read more on our Projects page! 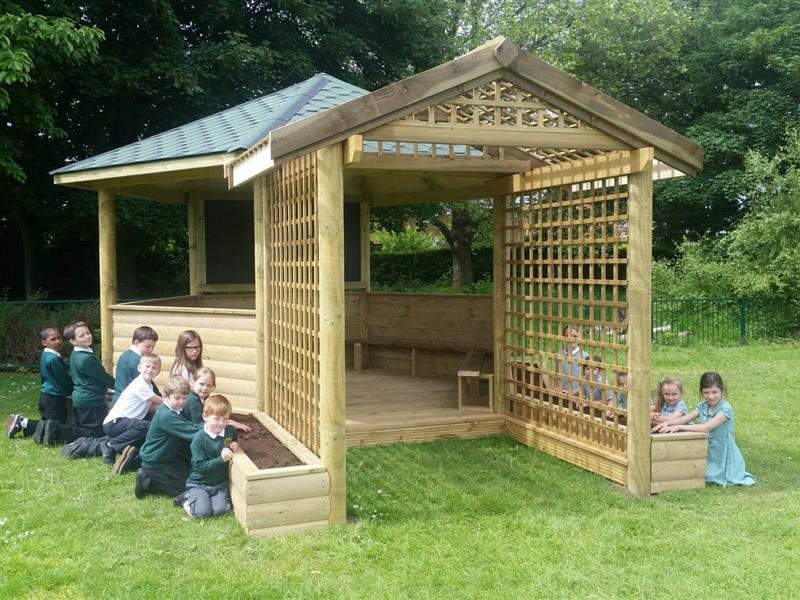 Our Secret Garden Gazebo is ideal for Forest Schools and offers the opportunity for outdoor lessons alongside natural play and learning. With planters and an arbor trellis, children can transform their garden gazebo however they like! "It looks fantastic! For me it has been a dream project to manage, so thank you to you and your team. It was nice to find like minded people who work for the best interest of schools." We transformed this once underused EYFS playground, into a thriving child-led outdoor learning environment. Now their children can play & learn on an all-weather resource as well as enjoy exciting new resources that fuel their imagination & creativity. "The team throughout the planning, design process and installation were very professional and listened to any minor amendments we needed. They were very accommodating with us and were great with our care taker." Or click here to go to all products.